I woke up this morning and played some Horizon: Zero Dawn. Did I like playing Horizon: Zero Dawn? Too bad, you don’t get to know. I decided to write about how I thought about Horizon: Zero Dawn. I wrote a lot. I thought what I wrote was good. Apparently, the universe did not think I was good. Because the universe decided that I should suffer the pains of hell. And that is what happened. I took screenshots while playing Horizon: Zero Dawn. They were pretty screenshots. I liked the screenshots. I wanted to share the screenshots with you fine people because they were pretty and I wanted you to see how pretty they were. You will not get to see these screenshots because I am angry and do not want other people to be happy because of the screenshots. So I wrote for a couple hours, and when I was done, I wanted to put the screenshots in the article so you would know what I was talking about when I talked about things in the game that were in the screenshots. I feel like I’m either not making sense or being redundant. I don’t care. I knew there was a share button. That share button made me happy, because sharing is caring and I care. That little button promised to let me share my screenshots with all my readers. I pressed the button, but my screenshots were not shared. I had to put in information. Fine, I thought, this will only take a moment. It did not only take a moment. I kept on entering my information and it kept on saying it didn’t work. So I stupidly entered it again. And again. And again. And then I realized that it wasn’t working because I was what they like to call “a minor,” which used to mean that I couldn’t be sent to war but apparently now means that I can’t share my lovely screenshots with my readers. I could not change my age in settings. This made me sad. Then I went through all the trouble of making an account that said that I was born on January first, nineteen-hundred so that I could share screenshots with my readers. This took about an hour. But apparently I would have to start a new game, and I could not send screenshots from one account using another account because that would be silly. This made me sadder. But then I had an idea. A wonderful, awful idea. 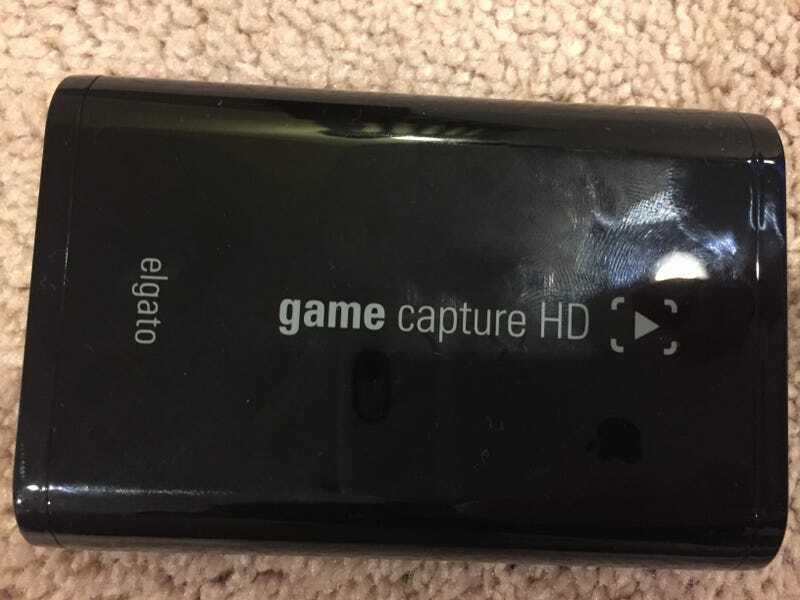 I would use my elgato game capture HD doohickey to capture the screenshots of the game in HD, and I swear the Mexican cat was in there somewhere. I tried to get it to work for a few hours. It did not work. This made me sadder still. I looked up why it was not working and found that I had to select a setting to let the elgato work. I stupidly selected that setting. HOURS OF MY GAME WERE LOST. But at least my elgato was working. I took the screenshots, and oh, they were beautiful screenshots. I put them in the article, and they gave beautiful, beautiful context to the article. It was so contextualized. So very, very contextualized. This made me a little less mad. I selected the time when all my lovely readers would read my lovely article that I had poured hours into my life to write and capture screenshots for because I wanted to share my article with all my readers so very, very much. And then I pressed schedule. It said “saving,” as usual. But it said that for longer than usual, which was not usual, otherwise known as unusual. I decided to use the facilities while I waited. I came back and the article was still saving. I decided to refresh the page. A N D T H E N T H E A R T I C L E W A S D E L E T E D.
This made me... upset. As the title says, this was the first time I ever raged at a video game. I know people think raging at video games is silly. But I am mad about it. I decided to write this to cope. I started writing my first article in the morning and I am finishing this article in the evening. This has been my entire day, and I have an article about how I am angry to show for it. If this article gets deleted too, I will give up video games, because obviously the universe does not want me to play them if that happens again. I understand that many of the things that happened were my fault. I should have saved my game. I should have saved my article. But that only made me rage more. I think I am going to play Breath of the Wild now because Breath of the Wild is my favorite game and I am very angry at Horizon: Zero Dawn. The moral of the story is: save. Save your game. Save your articles. If you’re shopping, save your money by buying in bulk. If you’re Spider-Man, save the bus full of kids and Mary Jane. If you’re my psychologist, save me from the pain.